Alley Of Books: Beautiful Darkness : New cover alert! Beautiful Darkness : New cover alert! By now y'all know how much I love Beautiful Creatures. If you don't, well, now you do! 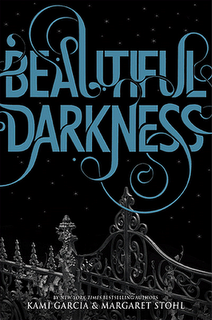 The much anticipated sequel Beautiful Darkness has a new cover! As much as I liked the old one, the new cover is more 'to the book' I'd say. What do you think? I'm almost done with Beautiful Creatures! As far as these covers goes, I like the second one better.